At the Masseria we can make your wedding day every bit as special as you had ever dreamed it would be.We have many options for your ceremony to take place; besides the beautiful orangery decked with white muslin or under the Agavi Portico dappled with sunlight, in cooler weather the Androna Porch with its Moorish influence makes a perfect setting. Aperitivo can be served pool side and also where you can enjoy your wedding meal. We can accommodate up to sixty two guests and for the restaurant a maximum of 250. Catering is provided by our in house restaurant, where you will be treated to the best of Italian traditional cuisine, all home-made of course! Wine served is from our own estate. All menus and services are tailored to your exact requirements. If requested there will be a wedding planner and her staff helping you to keep in contact with any suppliers, transfers, accommodation, flowers and to help you make your special day truly unforgettable. 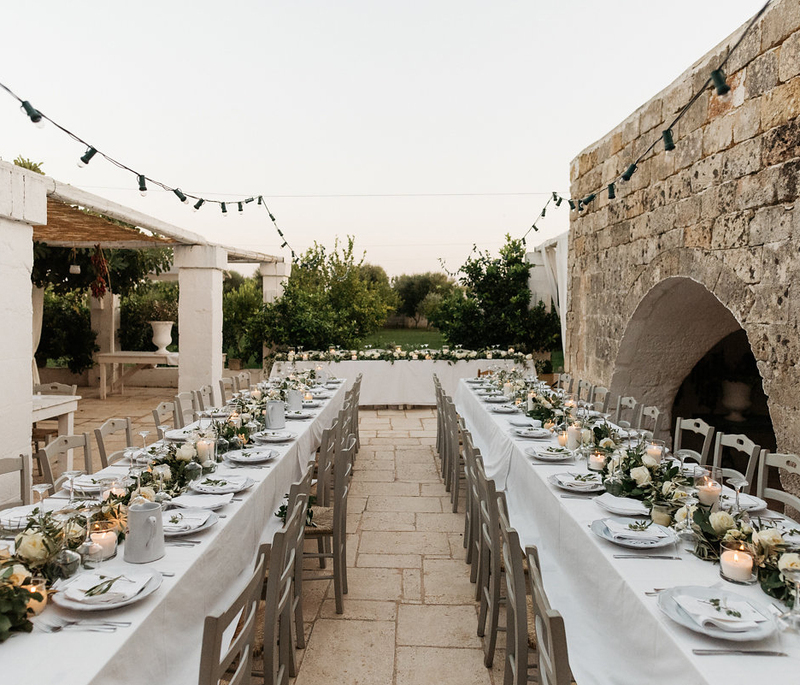 Here some videos where you can see previous weddings at Masseria Potenti.